The most important psycho-active ingredient of Peyote is mescaline. It may take a while before the mescaline starts to work, but then it could be the most beautiful experience you will ever have. Mescaline may remind you of LSD-25, but it is more soft, colourful, warmer and nicer. Sometimes you can travel through time and space, or communicate with your own spirit. The Peyote trip is stronger than the San Pedro trip, but so is the initial nausea. A trip can last 6 to 12 hours. The Peyote cactus contains: mescaline (3,4,5- trimethoxy-B-phenethylamine), thyramine, hordinenine, anhalaninine, anhalonidine, pellotine, N-Methylmescaline, N-Acetylmescaline, O-Methyllanhalonidine en Lophophorine. Hey guys, it has been 2 years ago and i see you have a great new website. As usual i did order your peyote seeds again. I can recommend this shop to everyone. I know you for more then 10 years now and you guys still rock! keep up the good work, I hope you get live plants again. 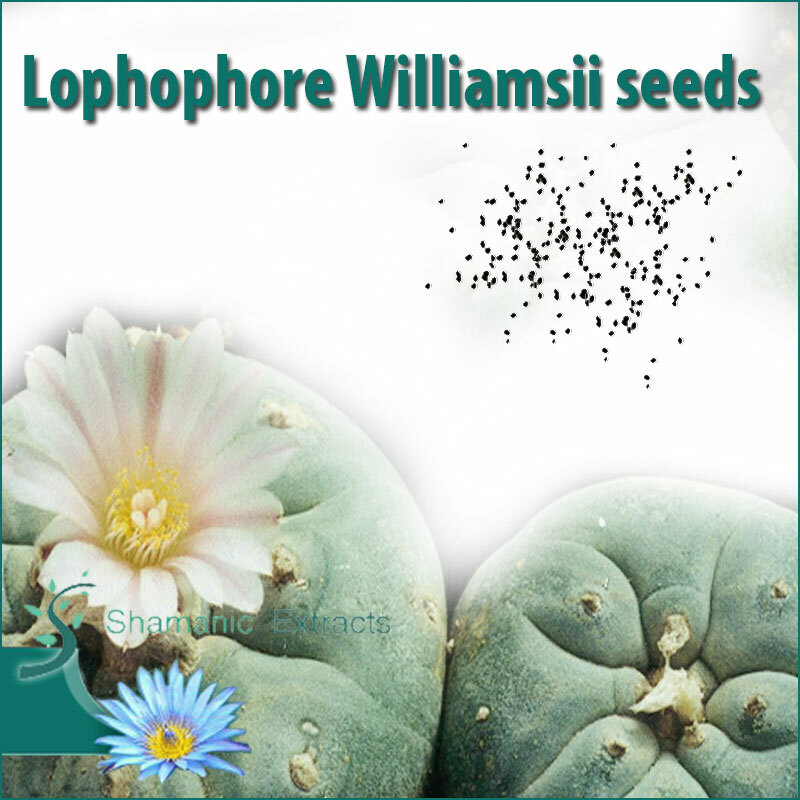 Share your experience about Lophophore Williamsii seeds with other customers. Submit your tips or thought on this product, be detailed and specific.